A two-day international conference on intellectual property and development opened today at the World Intellectual Property Organization with calls from speakers for the IP system to be applied by nations in ways appropriate to their economies, even if it means allowing copying – just as the biggest IP-holding nations did when they were developing years ago. The theme was set by the opening keynote speaker, South African Trade Minister Rob Davies. The WIPO International Conference on Intellectual Property and Development is taking place on 7-8 April. He cited Switzerland and the United States, two of the world’s strongest IP proponents nowadays. Davies then noted that a small number of countries have moved from developing to developed countries, and followed a “heterodox of policy measures” to do so, including a variety of IP policies. He cited Korea, Singapore, and now India. He characterised the different sides of the ongoing arguments for and against patents as a promoter of innovation. “What are we to make about these complex, varied, and sometimes divergent accounts of the historical, theoretical and empirical dimensions of the question of IPR and industrialization?” he asked. “The range of unanswered questions suggests the need for a cautious approach to reform of IPR,” he said. Davies also highlighted the flexibilities found in the World Trade Organization Agreement on Trade-Related Aspects of Intellectual Property Rights (TRIPS). 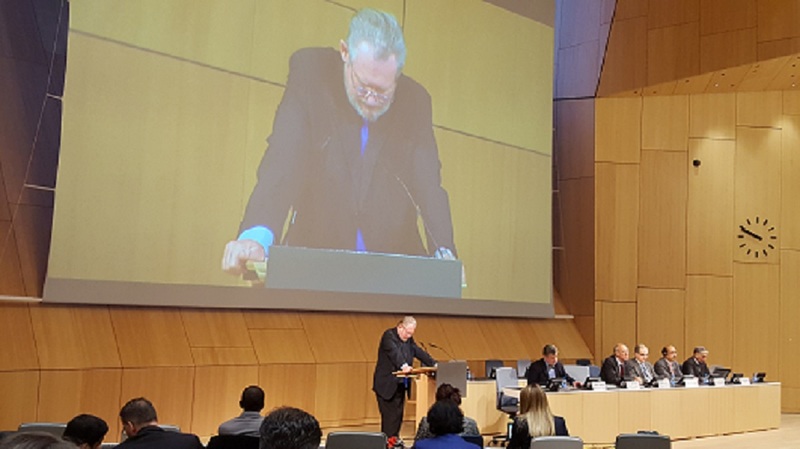 "South African Trade Minister Opens WIPO Conference With Call For Appropriate IP" by Intellectual Property Watch is licensed under a Creative Commons Attribution-NonCommercial-ShareAlike 4.0 International License.